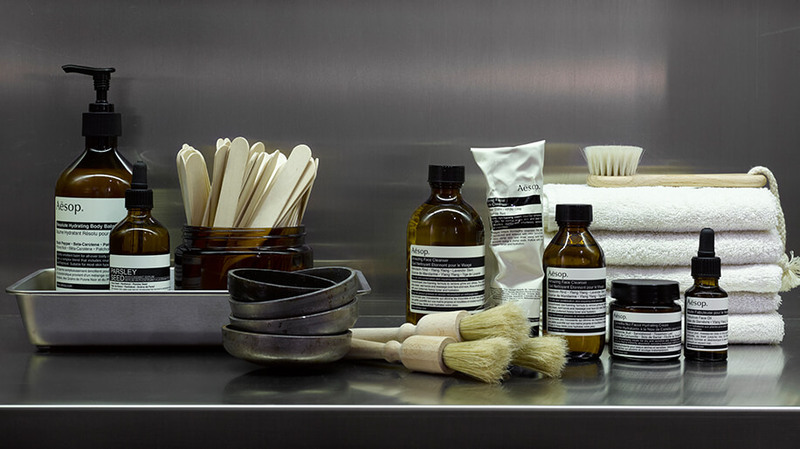 Aesop will soon be celebrating its 30th birthday of formulating and selling some of the finest skin, hair, and body products on the market. Everything they sell is plant-based and made from natural products to avoid unsettling toxins coming in contact with your body. To say their products are entirely natural may be a stretch, but they’re considered fully “organic and scientific,” a pleasing combination for those looking for quality skin care. The company is headquartered in Melbourne, but they also have offices in New York, London, Tokyo, Hong Kong, and Paris. Their Paris office is of particular interest today, as they’re looking to make some exciting changes that could indicate further services in the future. It all began when Benjamin Paulin, son of French designer Pierre Paulin and managing partner of Paulin, Paulin, Paulin (the organization designed to preserve and showcase the works of Pierre Paulin), strolled past the Aesop store in the Rue Saint-Honoré location. 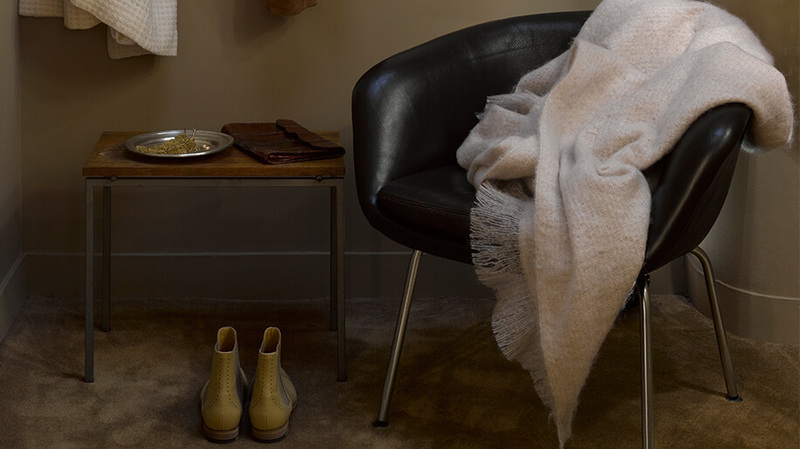 Paulin says he first took interest in the Paris office space when he saw a vintage armchair designed by his father in the window of the Aesop Condorcet store. He was very impressed that a skin-care shop would have such great taste that he wanted in on some of the action. 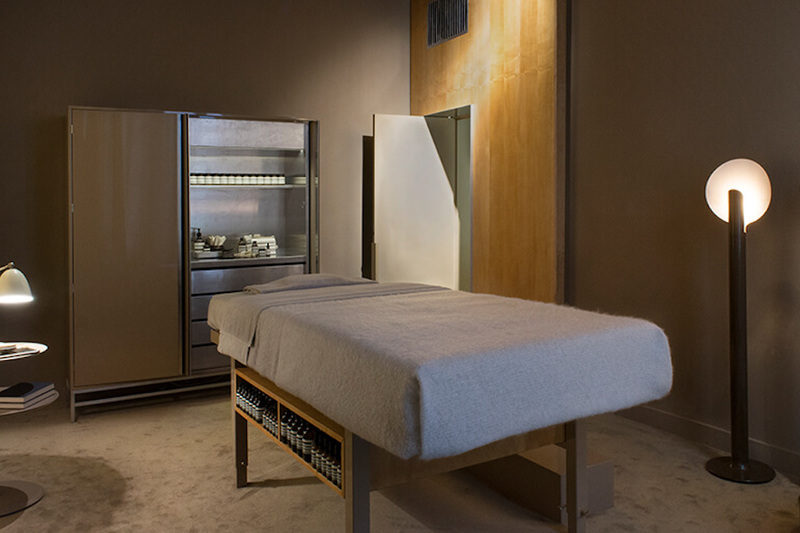 Paulin, Paulin, Paulin partnered with Aesop to transform their Paris office into a temporary luxury treatment center for facials and conditions of the epidermis. They’re now open for public appointments for services rather than just products. The Aesop store had several Pierre Paulin works inside already, but now there’s even more. There are vintage and new pieces like Paulin’s Mushroom stool, Anda chair, Globe chairs, Tanis desk, Elysee shelves and pedestal tables, and the Osaka sofa. The building itself seems to be a combination of a skin clinic and a luxury spa. The company’s official statement described the center, which sounds very much like a typical spa and health clinic combined. It sounds like they’re looking to break down some of the barriers between epidermal treatment clinics and luxury spas, marrying the two to help those with skin conditions find a place to heal and be treated. “When the customer books a facial treatment, they have the whole space to themselves for 90 minutes,” the statement continued. That’s an hour and a half of pure peace and contentment, away from troubles and cares. This treatment center will not be permanent. It’s more of a flagship service that Aesop is running to determine if they want to have more treatment centers in all of their locations. If this one is successful, it will be moved to a larger location and other treatment centers will be opened around the world. No walk-ins will be accepted in the Rue Saint-Honoré temporary treatment center. You’ll call ahead and schedule an appointment, but you won’t choose the service you’ll receive over the phone. There are six facial options available formulated for different skin types and needs. After you arrive for your appointment, you’ll have a consultation with a dermatologist. Together you’ll decide on the best treatment for your skin, making it a truly personalized, intimate, and beneficial experience. The Paris flagship office will be accepting bookings from now until mid-May. At the end of May, the original Aesop shop will be returned to its former glory, and it will be determined from there whether or not this will become a more permanent part of Aesop’s repertoire.